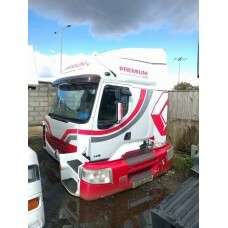 We have used truck cabins for sale for a variety of truck models. We have complete cabins as well as partial cabins available. We also sell the individual components in cabins, such as steering wheels, cushions and switchgear. We break cabins from various makes and models and have a regularly rotated stock. We’ve always got something new in. We have cabins for Mercedes, Renault, Volvo and Scania trucks in stock now. We are specialist commercial vehicle breakers. Our breaker’s yard in Bridlington is home to a truly stunning collection of used parts. We have various cabins for breaking, exterior parts and interior parts available for your truck. Whether you need a door mirror housing for your Scania or a steering wheel for your MAN, we can help. Used truck cabins for Mercedes and used truck cabins for Volvos are our speciality. We break plenty of these trucks every year. If you’re looking for something specific, take a note of your VIN number and use it to source the correct part. 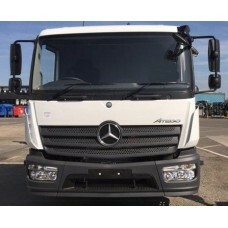 Mercedes Atego Euro 6 Front Panels For Face lift ConversionsAll parts are unused, genuine OE..
Scania 4 Series R Cabin Front Grill Part No. 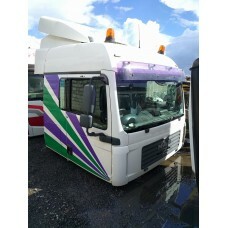 1371856 Many mo..
Volvo FL10 Sleeper Cabin Wind / Air Deflector Kit Fixtures not available! &n..
1989 Rare Mercedes 814 Sleeper Cabin for BreakingFree collection in person, or ask us about delivery..
1995 Volvo FL6 Day Cabin Breaking For PartsClean CabinMany more Volvo FL6 truck parts available such..
1998 Mercedes 1820 Cabin Breaking for PartsMany more Mercedes 1820 parts available such as engines, ..
1999 Volvo FM12 Version 1 Day Cabin Breaking for Parts..
2005 Mercedes 1823 Axor Cabin Breaking For PartsMany more Mercedes Atego / Axor truck parts availabl..
2006 Renault Premium 440 Cabin Breaking For Parts..
2006 Volvo FM9 Cabin Breaking for Parts..
2007 DAF CF85 Day Cabin for Breaking for parts.. 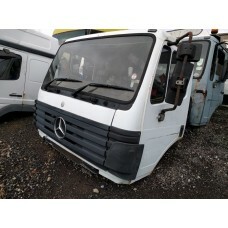 Breaking a Mercedes 814 Cabin for PartsMany more Mercedes 814 truck parts available such as engines,..
Cab Lifting Ram Mercedes Atego 1224Part no. 9675530005/005.. Complete Gear Stick & Lever assembly for Mercedes 815#Year: 2000 - 2002Part No. A970 260 4038..